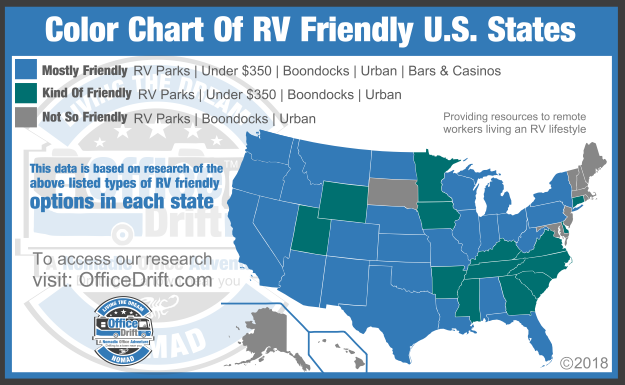 We understand how hard it can be sometimes to find places to park your RV while you’re traveling, so we did a lot of research and compiled lists of locations from across 49 U.S. states for your convenience. Locate the state you want to find the perfect spot in below. 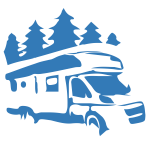 Then select one of the states “RV parks, boondocks, urban, bars & casinos,under $350, or legal canna (Legalized medical & recreational marijuana)” options to see a list of Names, addresses, phone numbers and websites (When applicable). It’s our hopes that you’ll fall in love with some of the hidden gems in our lists that you may not have found anywhere else.